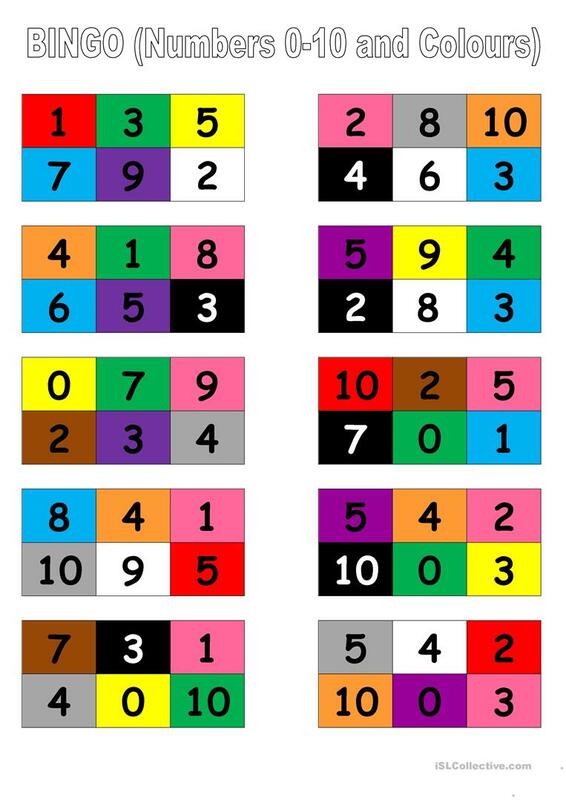 BINGO cards to revise numbers from 0 to 10 and colours. This downloadable handout is meant for elementary school students and kindergartners and nursery school students at Beginner (pre-A1) and Elementary (A1) level. It was designed for enhancing your class' Listening skills. It centers around the vocabulary topic of Colours.